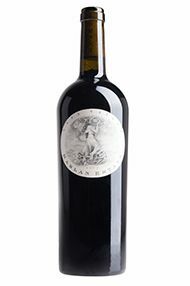 A superb year for Californian Cabernet Sauvignon-based red wines with a small crop producing ripe, opulent and richly flavoured wines with complex flavours and the kind of depth that bodes well for drinking both early and after the wines age. Winter was very dry and the first half of May saw heatwave weather conditions. However, it rained heavily in the second half of May and this affected the flowering and reduced the potential size of the crop. The summer was very warm and dry and the fine weather continued through to September. Very ripe grapes with good acidity levels were harvested and marvellous wines were produced across the board. The Pinot Noirs from Carneros were uniformly excellent, while the Napa Valley Cabernet Sauvignons are exceptional, displaying tremendous depth of fruit as well as considerable finesse. The best examples will continue to drink well for another 10-15 years.